MECCA, Saudi Arabia — More than 2 million Muslims began the annual hajj pilgrimage at first light on Sunday in Saudi Arabia, circling the cube-shaped Kaaba in Mecca that Islam’s faithful face five times each day during their prayers. The five-day hajj pilgrimage represents one of the world’s biggest gatherings every year and is required of all able-bodied Muslims once in their life. 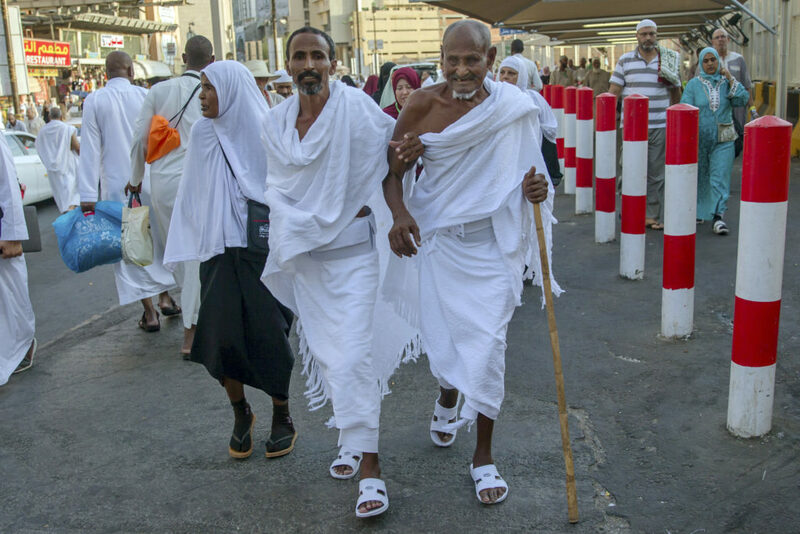 The hajj offers pilgrims an opportunity to feel closer to God amid the Muslim world’s many challenges, including the threat of violence and extremists in the Mideast and the plight of Myanmar’s Muslim Rohingya minority. Muslims circle the Kaaba counter-clockwise seven times while reciting supplications to God, then walk between the two hills traveled by Hagar, Ibrahim’s wife. Mecca’s Grand Mosque, the world’s largest, encompasses the Kaaba and the two hills. Maj. Gen. Mansour al-Turki, the spokesman of the Saudi Interior Ministry, told journalists Saturday that over 2 million Muslims from abroad and inside the kingdom would be taking part in this year’s hajj. The official Saudi toll of 769 people killed and 934 injured has not changed since only two days afterward. The kingdom has never addressed the discrepancy, nor has it released any results of an investigation that authorities promised to conduct over the disaster.